So New Jersey Gov. Chris Christie has weighed in on Hilary Clinton's electability. That's like the Knicks telling the Warriors that they have little chance of winning this year's NBA championship. 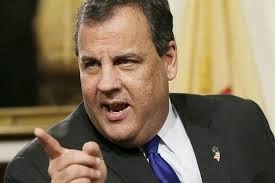 With the holidays approaching, I'd like to offer Christie this little gift of advice: you should spend your time contemplating your own depressed political stock, and chances (zero) of winning the Republican nomination for president in 2016, and not worry so much about Hillary Clinton, who has the support of 65% of Democratic primary voters. The New York Times on Sunday reported that Christie recently told a group of energy executives that Clinton "lacks her husband's talents and personal appeal." I'm not sure what alternate universe Christie resides in, but Hillary Clinton is perhaps the only politician on this planet who is more popular than Bill Clinton. Christie also claims he's more likeable than Hillary. While I'm sure he's a huge hit among nasty, arrogant, dismissive, disrespectful Northeastern conservatives who love being told "shut up" and "you're an idiot" by their elected officials, I have serious doubts that his big, bad Jersey blowhard routine will play well in the rest of the nation. BridgeGate. Temper. Obesity. Just a few of The Boss's outsized liabilities to go along with his outsized personality. And when (not if) both Mitt Romney and Jeb Bush toss their hats into the ring, Republicans from California through the Midwest to the Rust Belt, Great Plains and down into deep South will be a singing a chorus of "Christie who?"